Call us at 440-329-5340 and ask to speak with a referral specialist. If you call after hours, please call our answering service at 440-406-5121. If you are concerned about a child who does not live in Lorain County and need to make a report, please call 1.800.4ACHILD. If you are seeing a child in IMMEDIATE NEED of help, please call 9-1-1 or your local law enforcement agency. 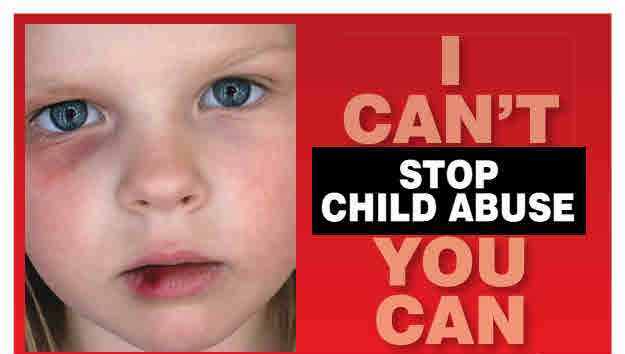 Anyone may make a report of suspected child abuse or neglect. However, some individuals are required bylaw to report concerns of child abuse, neglect and dependency. This includes, but is not limited to: law enforcement, school and day care personnel, therapists, counselors, attorneys, and medical/health personnel (Ohio Revised Code 2151.421).These individuals with a legal responsiiblity to report are called Mandated Reporters. Reporting sources are kept confidential. They can be disclosed only with a court order or a signed release of information by the person reporting. Children who are mistreated can be physically abused, sexually abused, or emotionally abused; neglected; or abandoned. Physical Abuse is any injury resulting from beating, biting, burning, or otherwise harming a child. Sexual Abuse is any act of molestation against a minor child. Emotional Abuse can be caused by constantly rejecting a child, exposing a child to domestic violence, or threatening a child’s safety. Neglect is defined as the failure of a parent to provide food, clothing, supervision, education, or medical care for a child. Understanding your role in protecting children is important. You are doing the right thing by getting involved and telling us a child is at risk of abuse or neglect. Children must be able to count on us to make their world safe and secure. You can call Lorain County Children Services 24 hours a day at our office, 440-329-5340, or (after hours) 440-406-5121. When you call to make a referral, you will talk with a social worker who will ask you a series of questions about your concerns. You may not have the answers to some of the questions. That's okay. Answer as many as you can, as completely as you can, so we can decide the best way to respond to your concerns. LCCS staff will assess the level of risk to the child. If a child is at risk of abuse or neglect, we will either provide direct service or refer the family to other community organizations. The important thing is that the family can now get the help it needs. Learn more about interventions and assessments. After all, it takes a community to protect a child.